Wolfgang Weileder is an artist and Professor of Contemporary Sculpture at Newcastle University whose practice and research is primarily concerned with the examination and critical deconstruction of architecture, public spaces and the interactions we have with the urban environment. They are investigations into the relationship between time and space, the interface between reality and virtuality, and how these can be explored to question our understanding of the public sphere. Wolfgang is the Principal Investigator (PI) and Grant Holder for the Jetty Project. 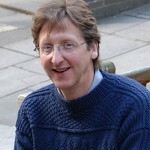 Simon Guy is Dean of the Faculty of Arts and Social Sciences at Lancaster University. Simon aims to critically understand the co-evolution of design and development strategies, and the socio-economic processes shaping cities. Urban sustainability’s contested nature is amongst his concerns; as played out within competing discourses of green building. 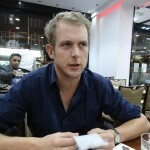 He previously worked with Wolfgang Weileder on the Stilt House project in Singapore. Simon is the Co-investigator (CI) on the Jetty Project. 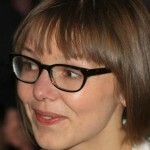 Dr Angela Connelly is a Research Associate at the Manchester Architecture Research Centre. Her PhD thesis interrogated how urban memory is remembered, forgotten and altered over time, and how it is embodied in the built environment. Methodologically, she excavates this through diverse sources such as stories, photographs, ephemera, building plans and interviews. She is supporting Professor Simon Guy on the Jetty project, drawing upon her allied policy-focused research in community engagement and social responsibility. Dr Marianne Wilde is a visual artist and Research Associate at Newcastle University School of Arts & Cultures. Her research interests and practice are concerned with collaborative cross-disciplinary projects that use the visual images and objects of a fine art practice as narrative and explanation in the wider environment. Her PhD thesis interrogated how we See and how we Say genetic diagnosis; this was an AHRC collaborative doctoral award with the Institute of Genetic Medicine in Newcastle. 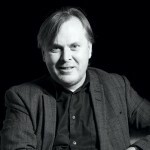 Dr Thomas Edward Wainwright has a background in architectural design and temporary installations, having worked in Berlin and New York on research-led projects, and a doctoral degree in applied architectural research. He has experience in working with leading artists, architects, planners, designers and educators to produce projects, research and provide analysis, writing and design services to all sectors of the built and physical environment.